The TCM Classic Film Festival has announced their feature films that will be shown during the 4 day event taking place April 28 to May 1, 2016. The festival will cover a wide range of programming themes, including our central theme Moving Pictures. Working directly with the Hollywood studios, the world’s notable film archives, and private collectors, our programs feature some of the most revered movies of all time—many with new restorations—and long lost gems. In keeping with TCM tradition, all Festival screenings include special introductions to provide context about each film. Specific details about this unique fan experience will be announced in the weeks and months ahead, including guest appearances by actors, actresses, directors, producers and other key figures. Elia Kazan made a spectacular film-directing debut with this story of an immigrant Irish family’s struggle to make it in the new world. 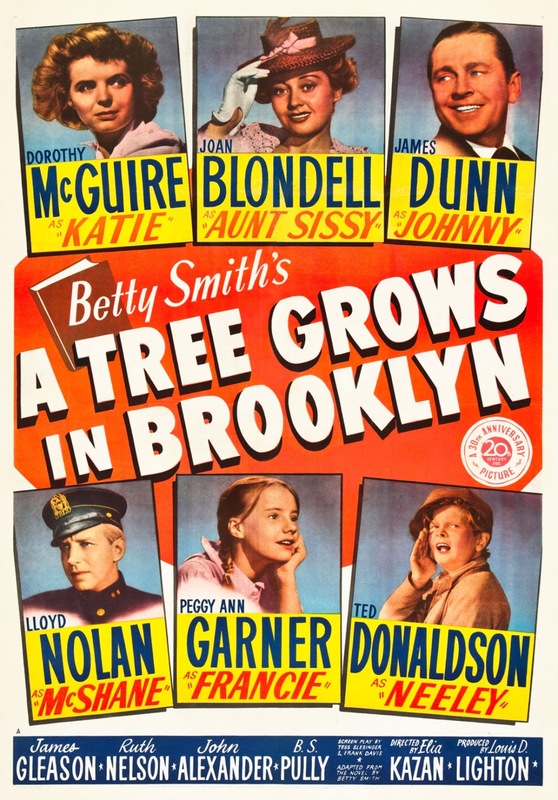 The film also brought Oscars to James Dunn as the family’s hard-drinking father and Peggy Ann Garner as his daughter. surrealistic style of comedy to college football and academia when College president Groucho enlists Chico and Harpo to help his team beat a rival in one of the funniest football games in movie history, shown in a world premiere restoration presented in collaboration with Universal Pictures Home Entertainment. This heartwarming tale and perennial fan favorite (celebrating its 70th anniversary in 2016) stars James Stewart as George Bailey, a small-town man who learns just how important a single life can be thanks to the help of an angel named Clarence (Henry Travers). falls in love with its king (Yul Brynner) in the process. The pairing of director Josef von Sternberg and actress Marlene Dietrich turns this melodramatic tale of bandits and ladies of easy virtue into one of the most exotic experiences in film history, shown in a world premiere restoration presented in collaboration with Universal Pictures Home Entertainment. Jennifer Jones gives a luminous (and Oscar-winning) performance as Bernadette Soubirous, the real-life peasant girl whose visions of the Virgin Mary inspired the townspeople of Lourdes in the 19th-century.